So I had a moment when my child’s pediatrician appointment morphed into a therapy session…for me. With this astute observation from a wise and seasoned doctor, the dam broke and all the insecurities, guilt, and doubt I had been holding inside came flooding out. The gentle, non-judgmental way Dr. Jackson spoke to me made me realize that the voice I had been listening to was the complete opposite: my inner voice had been speaking harshly and critically to my heart. It had been lying to me, and I was believing the lie yet again. SHE exhibits saintly patience while meeting the needs of two attention-demanding children. SHE has managed to shower every day and looks refreshed and pulled together. HER postpartum body is already bouncing back…abs are showing…jeans are fitting. Do you see what I did there? It’s amazing to me how effortlessly my mind can be convinced that these statements are absolutely factual, although I personally don’t know anyone who proves the validity of even one of them! So my lie starts to look more and more like truth, unfounded in reality but propagated by the ungodly amount of pressure I put on myself to be some sort of superwoman. Then there’s the guilt I heap upon myself when I fail to be perfect. This cycle of thought is what caused me to break down in a doctor’s office. It’s what grips each of us when we allow ourselves to dwell on that other woman. For me, the other woman is a mother and wife who has a Pinterest-worthy life complete with planned out healthy dinners, beautifully decorated, uncluttered rooms, and kids who don’t need screen time because their days are filled with art projects, play dates, and enriched learning experiences. 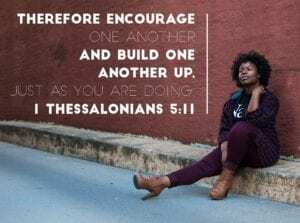 Who is the “other woman” for you? Is it the newlywed who just shared glamorous wedding pics on Facebook? Is it the co-worker who dresses impeccably and has an “in” with the boss? Maybe your other woman is strong, fit, and dedicated to her health. You scroll past her gym selfies while indulging in your favorite fat-filled snack and instantly feel defeated. Or, perhaps like me, your other woman is mythical, a figment of your imagination. She has everything you wish you had or think you need, and your life seems so “less than” by comparison. While you ponder the lies you might be harboring in your own heart, consider these three truths about your other woman as well. 1. The other woman is not my competition. 2. I can learn from the other woman. 3. 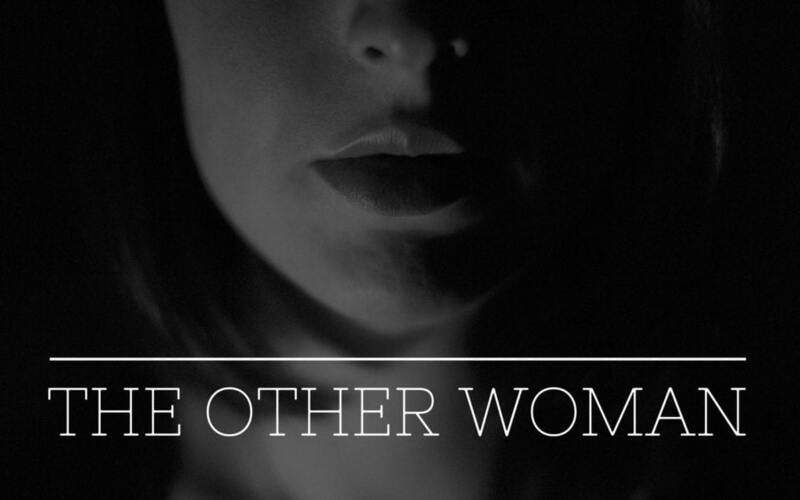 I am the other woman to someone else. Wherever you are in life, whatever season you find yourself in, is where you are meant to be in this moment. Instead of being jealous of those who have already reached the next rung on the ladder of life, try to focus on what’s good and holy about your current situation. For me, the harrowing nights with a newborn are a true test of my character. Instead of kicking my feet tantrum-style under the covers and wishing away the multiple midnight feedings, I can choose to focus on the sweet helplessness of my baby and soak up the warmth and innocence of new life that disappears all too soon. I am right where God wants me as I care for my family, and there is joy in claiming that truth. Envy and resentment make a convenient couple. The more you compare and find yourself coming up short, the more space you’ll find in your heart for bitterness to take up residence. That bitterness acts as a wall, keeping you from forming friendships and building a support system with other women. This is one way Satan works to keep us bound by lies. The only way to break the cycle is to bravely reach out to the women who fit into the “other” category. I’ve found in my own life that the very ones I compared myself to or judged to be too good for me have ended up being some of my closest girlfriends. It took vulnerability and authenticity. It took time. But it’s been worth the effort and my life has been enriched by the deeper relationships that formed once I gave up my tendency to compare and compete with others. Sometimes God uses the other women in our lives to teach us lessons we can’t access anywhere else. I remember when I was in the throes of infertility and it seemed that everyone around me was announcing pregnancies and giving birth. These women were living my dream. It was hard to receive their good news without a twinge of self-pity. To this day I can tell you the names of celebrities who carried and delivered babies during the three years my husband and I longed for a child of our own. But guess what? 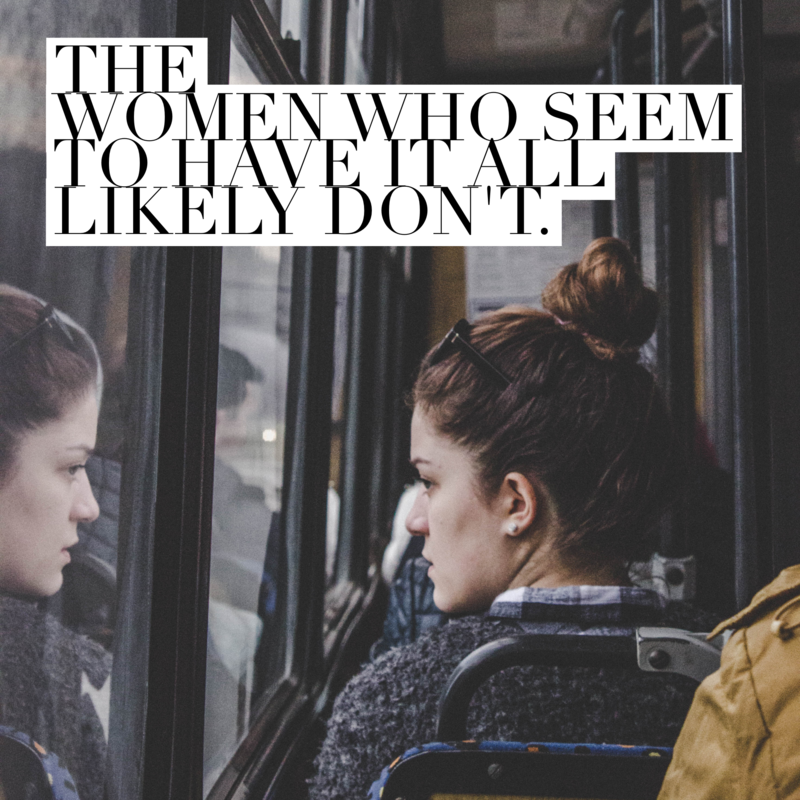 As I heard stories from these “other women,” I realized many of them had been right where I was. They too had struggled to get pregnant or had lost children through miscarriages – a tragedy I cannot comprehend. Their wisdom gave me hope. They shared verses that I learned to cling to myself. I understood how to faithfully walk through infertility because I let these women in. Who can you learn from? 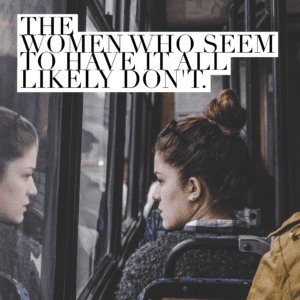 The women who seem to have it all likely don’t. And what they do have has not come as easy as you believe or been without a high cost. What if the key you need to finally unlock contentment in your life is being held by the other woman? Are you willing to listen, ask questions, and learn from her story? In the journey to learn from these other women, maybe all you need to adjust your outlook is a fresh understanding that you yourself are someone else’s “other woman.” Now that I am a mother, I have dear friends and family members who are where I was all those years ago. They see my daughters and their hearts ache for the children they so desperately want. Now it’s my turn to pour into their pain and love them the way I was so tenderly loved. So, my friend, the next time you catch yourself comparing or competing, make it a habit to identify lies and replace them with truth. Get to know the other woman in your life and learn from her. And when you begin taking precious gifts for granted, remember that you know someone who deeply desires the very thing you’ve become accustomed to. Think about those around you and how they might view your life with a sense of longing. There are countless ways to turn your status as the “other woman” from something negative into a thing of beauty. 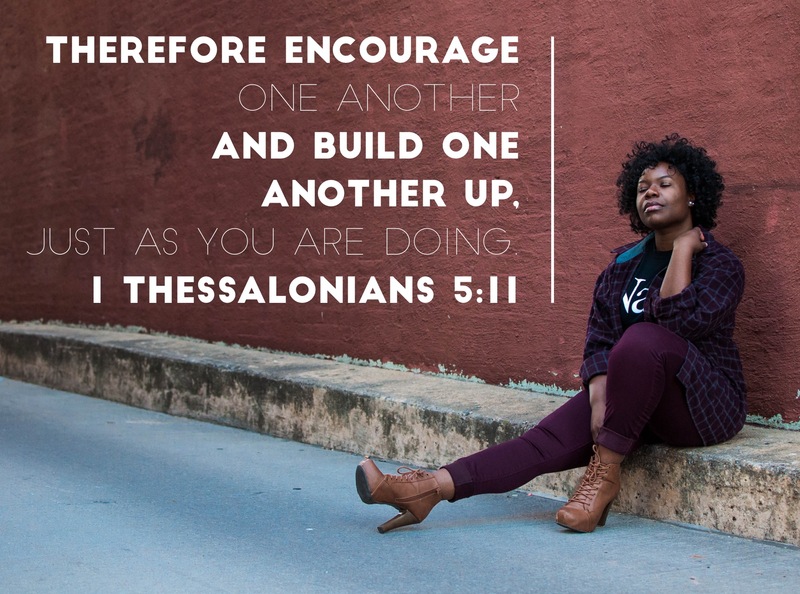 If you allow your life to be a conduit through which God can pass blessings, truth, and love on to others, you will be the embodiment of 1 Thessalonians 5:11. May we be women who embrace truth, encourage each other, and enjoy the season of life we’re currently in!